IS EVERY BUSINESS TRIP ESSENTIAL AND BOOKED WITHIN POLICY? Saying no to a non-essential business trip or an out of policy trip is the easiest and fastest way to decrease travel expenses. By implementing a pre-trip authorization strategy, you can ensure business trips are properly reviewed before travel is completely reserved. Our process supports both counselor and online reservations and is tiered by policy and price. Your approval process will be automatically applied to each request. • Manage audit savings, trip confirmation, policy violation, etc. 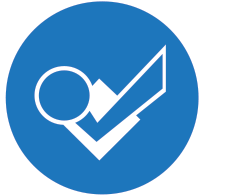 Pre-trip approval helps decrease wasteful spending by better managing your approval process. Companies will have the peace of mind knowing that the travel is necessary and within corporate policy.